Pro Display has been developing innovative technologies for the glass industry for nearly a decade. This has predominantly been with our PDLC (Polymer Dispersed Liquid Crystal) technology, which has seen vast improvements and growth over the last 3 years. 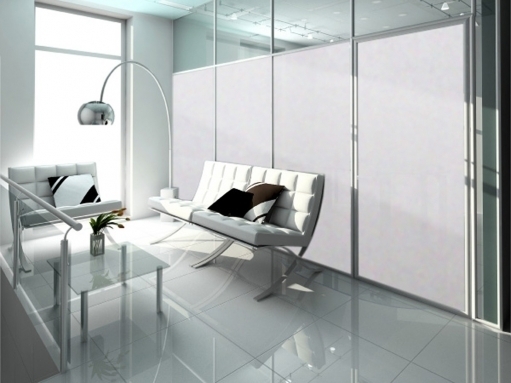 The products we produce using this technology are our Switchable Smart Film and Switchable Smart Glass. Our products are manufactured using a very fine liquid crystal polymer which offers greater uniformity and superior visual display. We have recently opened a new division which solely focuses on selling our technologies to specialist glass companies and performance film companies around the world. 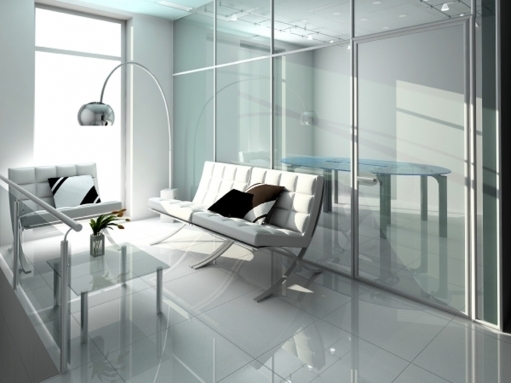 Switchable Smart Glass/Film is a revolutionary new product which will transform the glazing industry. This special film/glass consists of a liquid crystal polymer which changes its visual appearance when an electrical current is activated. A simple ON – OFF mode transforms the glass from being clear (transparent) to opaque (translucent). When the glass is in its opaque or frosted state images can be projected onto the surface to create a high definition display screen (UXGA resolution). Switchable Smart Film/Glass has many applications, but is primarily used for privacy, security and visual display.